Your church may have many members, but does every member have a purpose? In Doing Church as a Team, Pastor Wayne Cordeiro underscores that church numbers are insignificant when every individual is not involved. However, if the team members work together as one toward a single, clearly defined goal, anything is possible--and everyone shares in the joys and rewards of success! Pastor Wayne Cordeiro shows you how to identify the hidden callings of the members in your church so that together you can accomplish anything God has called you to do. We live in a leader-centric culture. But what if leadership isn't our goal? Can we use our skills to perform with excellence--as followers? In Embracing Followership, Allen Hamlin Jr. showed that you don't need to be a leader to make a difference. In this 16-part study guide to the book, you'll discover what following well looks like in your own life--unpacking key themes from Embracing Followership and looking to role models in the Bible for guidance on how to thrive as a follower. Additional discussion questions will also spark conversation among leaders and followers walking through the guide in a group setting. God blessed King David as a leader only after David submitted himself to God's strength. In The Empowered Leader, Dr. Calvin Miller shows how following David's example can turn you into the leader you can be, the leader God wants you to be. Heraclitus was famous for his provocative sayings. For example: you can't step in the same river twice; dogs bark at what they don't understand; expect the unexpected, or you won't find it, because it leaves no trail. I'm getting more done in less time, but where are the rich relationships, the inner peace, the balance, the confidence that I'm doing what matters most and doing it well? Does this nagging question haunt you, even when you feel you are being your most efficient? If so, "First Things First" can help you understand why so often our first things aren't first. Rather than offering you another clock, "First Things First" provides you with a compass, because where you're headed is more important than how fast you're going. 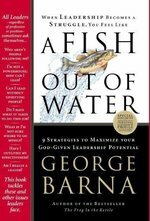 Barna unveils the results of years of research and hundreds of interviews, and emerges with a new definition of what leadership is--and isn't. Following the extraordinary international success of Tom Wujec's first book, "Pumping Ions," "Five Star Mind" teaches you to unlock and expand thecreative potential you already possess -- although you might not know it -- anddevelop it to give you confidence and skills that will enhance your work andyour life. Using puzzles, tips, thought association, relaxation techniques, games of"What If, " and constant questioning, Tom Wujec cajoles you into realizing yourinherent power for creative thought and expression. In addition to helping youdiscover your innate abilities, Wujec shows you innumerable ways to apply yournew ideas and creativity to work, to everyday life, or to just having fun. 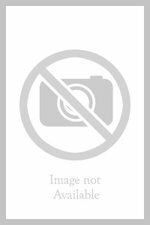 With "Five Star Mind," you participate in the creative process, develop yourinventiveness and imagination, and enhance skills that will have you cooking upfive-star ideas of your own! Tom Wujec is creative dirtector of Digital Media Services at the Royal OntarioMuseum in Toronto. He lectures internationally on the subjects of multimediainterface design, computer animation, and developing content for CD-ROM titlesand electronic information networks. Tom has studied psychology andastrophysics at the University of Toronto. An exciting business primer based on the country-building strategies that sprang from the ingenuity, resourcefulness, determination, desperation & passion of America's founding fathers. 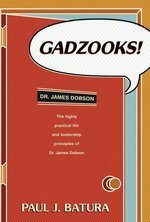 GADZOOKS DOBSONS LAWS OF LIFE & LEADERSH OP!!! Do what's right—endure the fight The book illustrates each principle with stories from the author's observations of Dr. Dobson at work. It concludes with an epilogue by Dr. Dobson himself about the legacy he would like to leave. In today's fast-paced, highly competitive world, where can we find godly leadership? Our society is overdue for a fresh word on the matter of leadership. We desperately need God's steady, unchanging wisdom in our businesses, homes, ministries, government, and education. 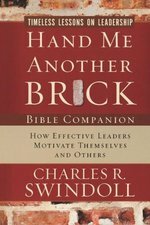 Thankfully, we have beloved pastor and teacher Chuck Swindoll to guide us through a powerful book on leadership?the book of Nehemiah. In Hand Me Another Brick Bible Companion, you'll travel into Nehemiah's world where the walls of his beloved city, Jerusalem, had crumbled, its glory had collapsed into rubble, and his people had lost the heart to go on. They needed leadership. And with God's help, that is exactly what Nehemiah provided . . . in abundance. With God's help, you too can rise to the challenge of becoming a dynamic, godly leader. You'll find the insights and help you need in the lessons and special features of this excellent Bible Companion. Written for both individual and small-group study, the carefully crafted questions and reflections will draw you closer to God and equip you to lead with godliness, grace, and confidence. Join Chuck and Nehemiah now in rebuilding the walls of your life. And when times are tough, don't give up, just look to the Leader of all and say, "Hand me another brick!"